The construction process is rigorously controlled in the production environment. Before dispatch, each container is checked for water tightness over a 48 hour period. 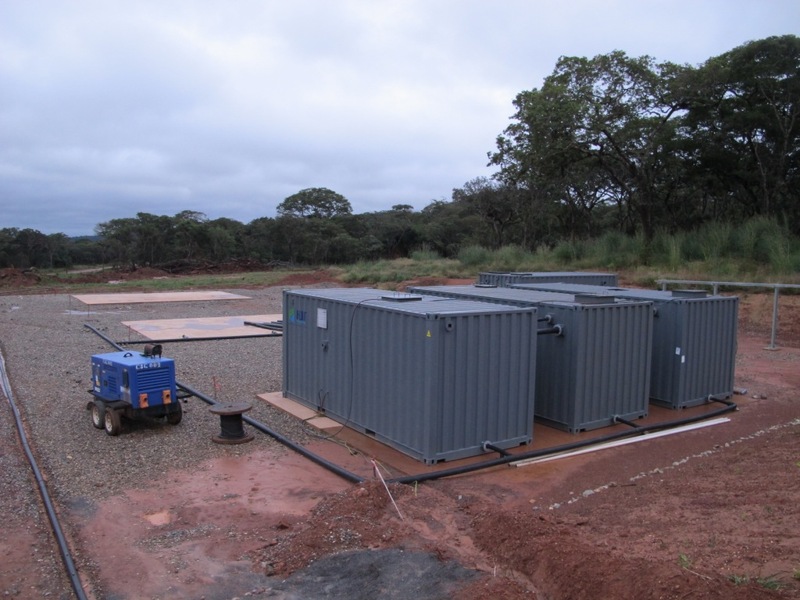 Containerized water and sewage treatment plants tend to be supplied to customers in remote and rugged areas. Typically the demand for containerized solutions originate from mine and labour camps. For this reason we choose to use new containers. All pipework exposed to the elements will be stainless steel. For each treatment plant, a portion of one container will be modified to serve as a control room. An air-conditioner or fan arrangement is supplied to ventilate and keep the control room cool. In general treatment plants are supplied in the 6m shipping containers. Although we sometimes supply 12m containers, it has been found that transport and off-loading of 6m containers is preferable. This is particularly the case in countries north of South Africa. For sewage treatment plants, we supply a modular raw water collection sump. This is of great value for installations where gravity flow is not an option. 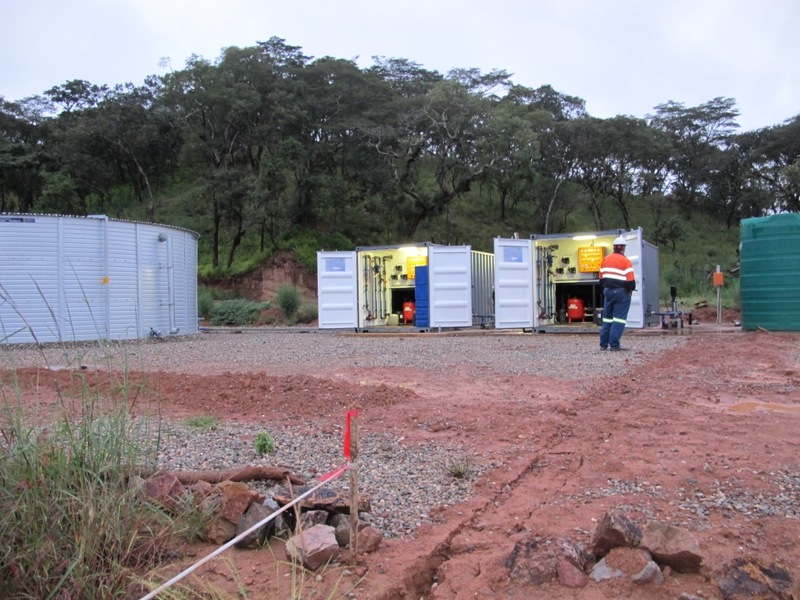 The pump sump is transported within one of the containers - usually the control room.